Geez, it's been 2 months since the last page. I'm really sorry for anyone who's actually becoming invested in this comic, I take so long to make it, XD Anyway, here we have page 5, enjoy! 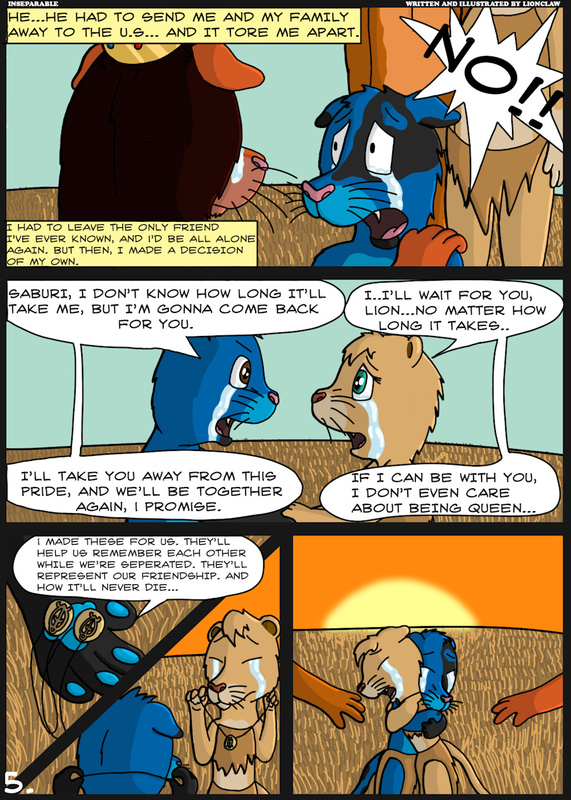 Lionclaw and Saburi are © me. Do not use without permission.